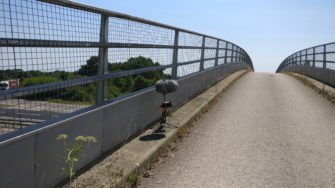 Another recording in response to public suggestions that traffic noise is a ‘sound of today’. Whilst finding locations to record from, I thought it would be interesting to choose locations where large roads have cut off or through older roads or rights of way. This time it is the turn of the A120, which runs east/west across the north of the county joining the M11 to the A12. Great Dunmow was bypassed in 2004 when many of the lanes oriented north/south were bisected, including Buttleys Lane to the west of the town. However, a narrow bridge was built to carry farm traffic over the A120 carriageways, which affords you great views of the A120 West Parking Area. 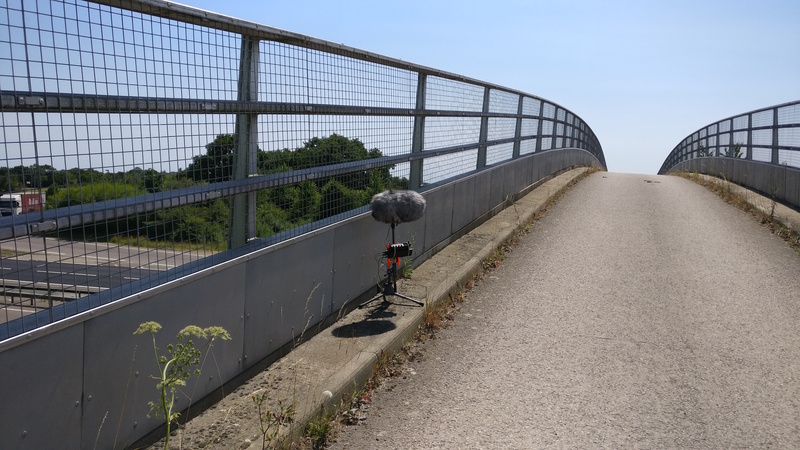 To keep some consistency with the other recordings in this series ( A127 A13, A130 , A12 and M25 ) I recorded shortly after 2pm.